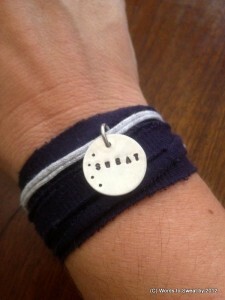 A big thank you to everyone who took a peek at Words to Sweat by’s new line of inspirational jewelry! Don’t sweat it if you didn’t win this time. We’ll be holding giveaways throughout the Fall and Winter in the hopes of providing motivational pick-me-ups when you need them most so check back soon. Next post: Larger, Thicker Towel Lets You Get Even Sweatier!